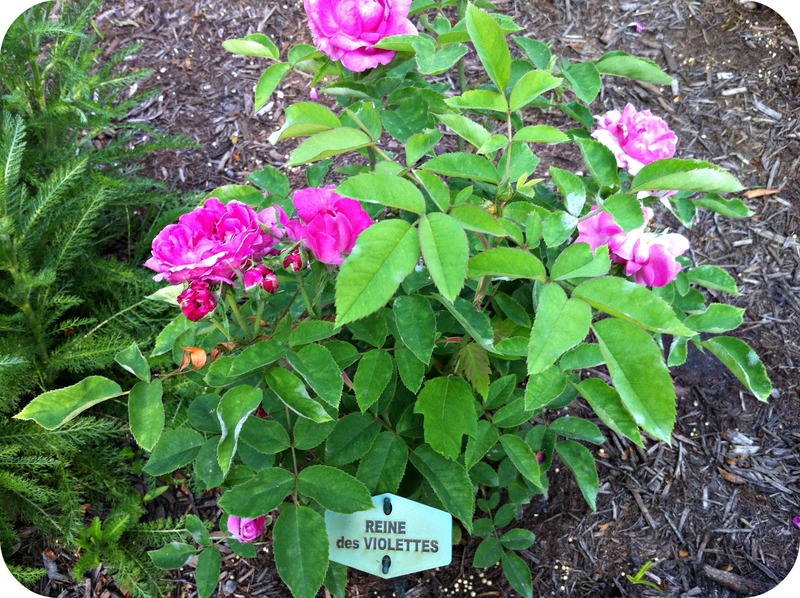 I love Old Garden Roses and have had Reine des Violettes (Queen of Violets) on my wish list for several years. 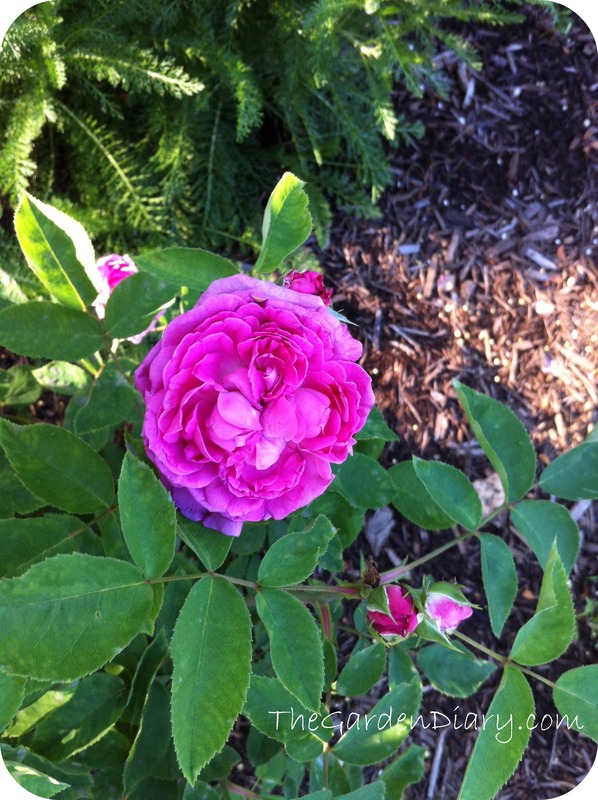 This beautiful rose was a favorite in the Victorian gardens, so of course I needed one! 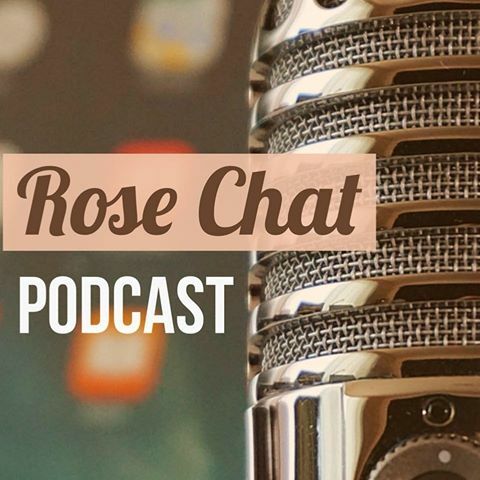 The Victorians became as mad about these roses as the 17th century Dutch were about tulips, and created entire societies around the rose for the first time, focusing on exhibition and competition, which changed forever the way human beings look at roses. To read more, click here. I hope I don’t become “mad about these roses” but it could happen. For now I am happy to say, here is my new little Queen. These pictures don’t do the blooms justice. At first I thought something was wrong because the buds seemed small but they just keep opening … every day this week there have been more petals. The rain this morning didn’t “dampen” her spirits at all. The last picture was taken after a hard rain today. She is tougher than she looks! 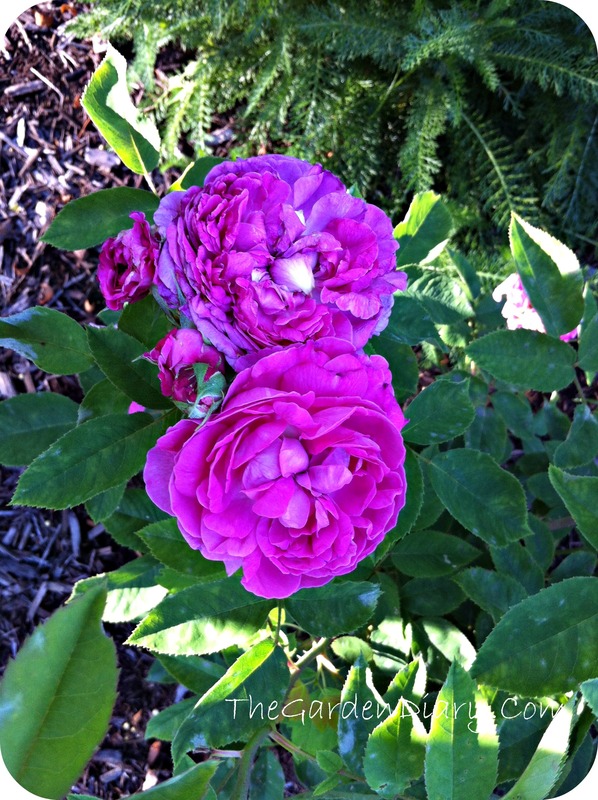 This rose is almost thornless-which makes Mr. G very happy. Hard pruning in early spring is recommended. I have never grown this rose but will consider it now that I have seen the beautiful color in your photos! Great shots. It is so much prettier in person! Give it a try for sure! A beautiful share, Teresa. I always enjoy seeing your garden grow. Thanks for the sweet compliment Carolyn! I love watching your garden grow too. Those red bean are amazing! very lovely rose! I like old roses too. I am excited to see this rose grow to its full size and potential! Such a unique color. Beautiful color! Touch of PM I see. Do you spray? This year I am using Green Cure. PW was more of a problem in early summer . Do you spray? If so, what products are you using?